Anyone who knows me knows that I LOVE dies. Can't get enough of them. Sizzix should be my middle name! 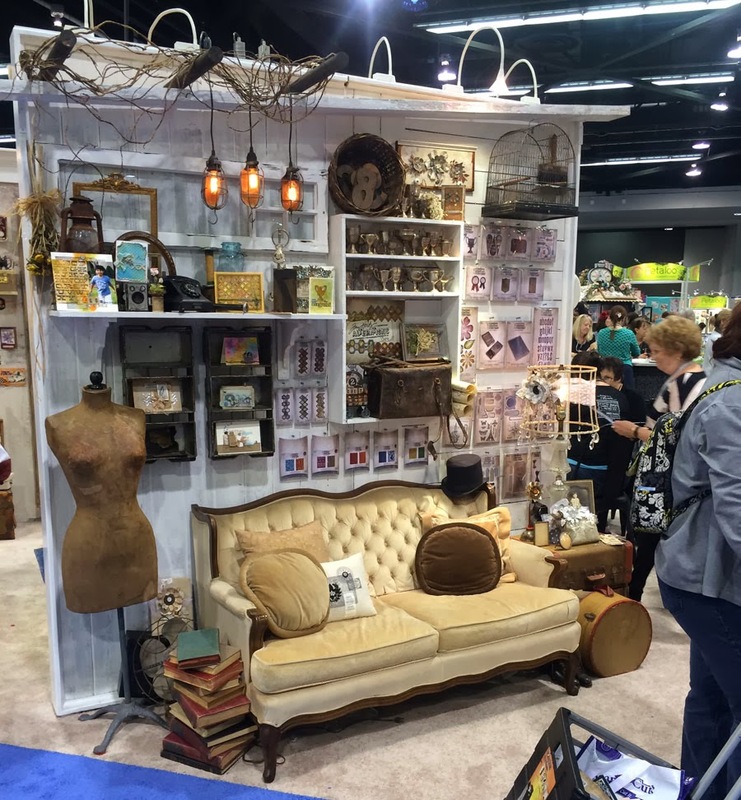 So today I want to share a few pretty pictures from CHA in the Sizzix booth. 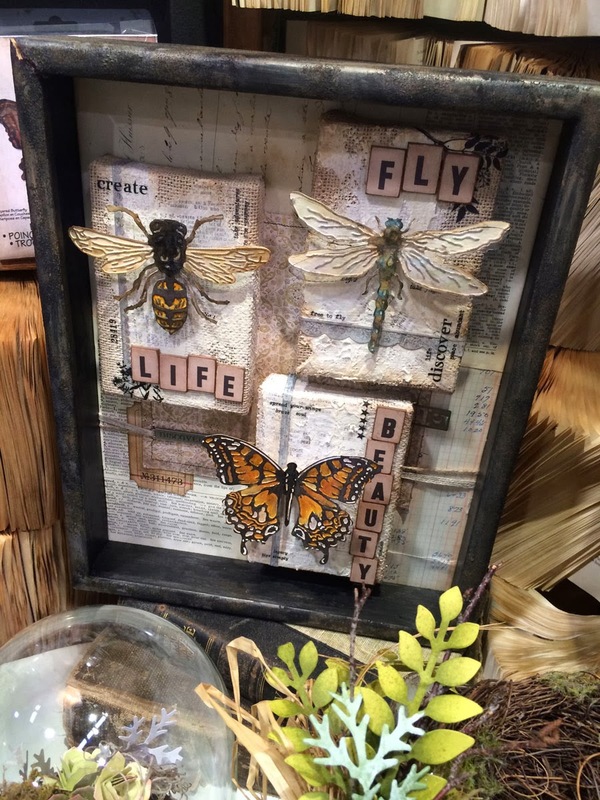 Yesterday you already saw some beauties in the Tim Holtz Alterations line and today is all about the girly creations from Brenda Walton and Susan Tierney-Cockburn, with a few more photos from Tim's line that I forgot to post yesterday. Gorgeous stuff! Just check out this display. One of the really fun things about attending CHA is how the companies go all out with their displays. I just loved this one. These beauties are from Tim's Alterations line and what's great about them is not only are they big dies, they have a coordinating texture fade to make them really dimensional. This piece was gorgeous! 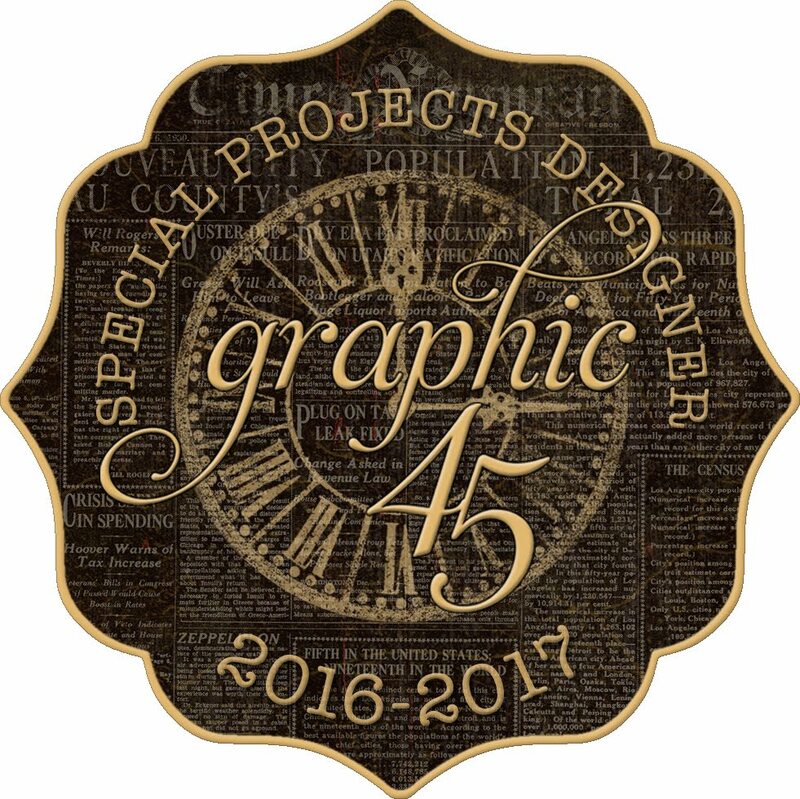 The feathers are die cuts! So pretty. 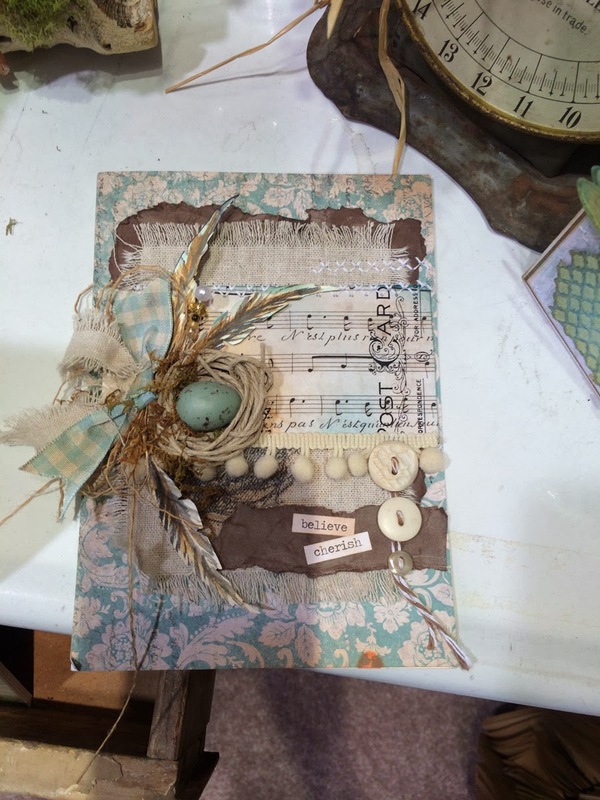 I believe that the partnership between Sizzix and Prima is a new one, but don't hold me to it. I just know that I've never seen Prima/Sizzix dies myself. This one got my attention. I love the hearts mixed into the gear designs. A little masculine and feminine together. 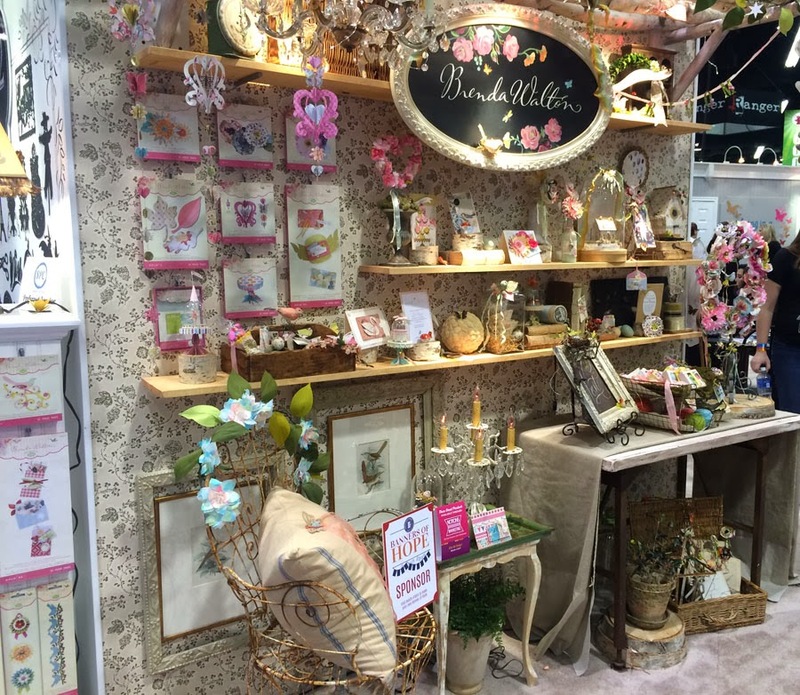 Brenda Walton's display was so pretty and sweet, just like her die designs. 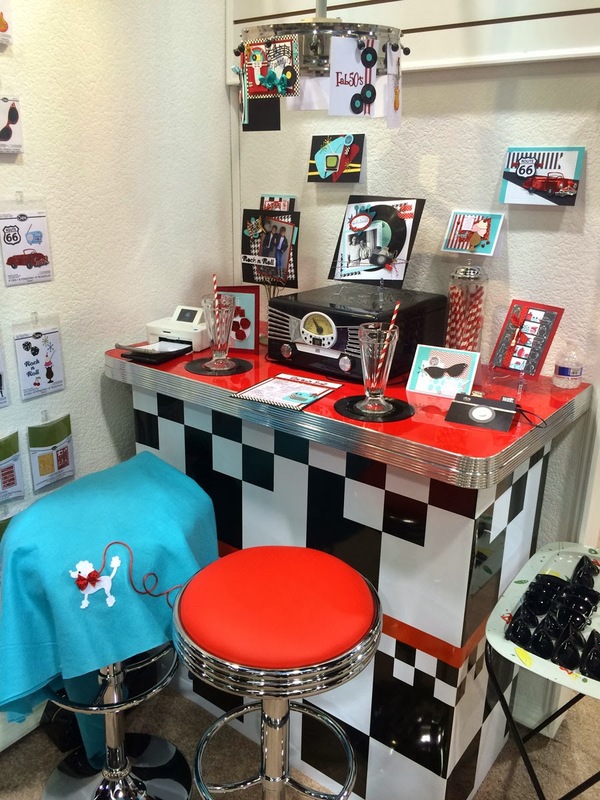 Check out this cute area of the Sizzix booth featuring The 50's line from Jen Long. Really cute stuff. Ever since I saw one of the Susan Tierney-Cockburn's "Susan's Garden" dies in my local craft store, I was amazed at how real these flowers look. 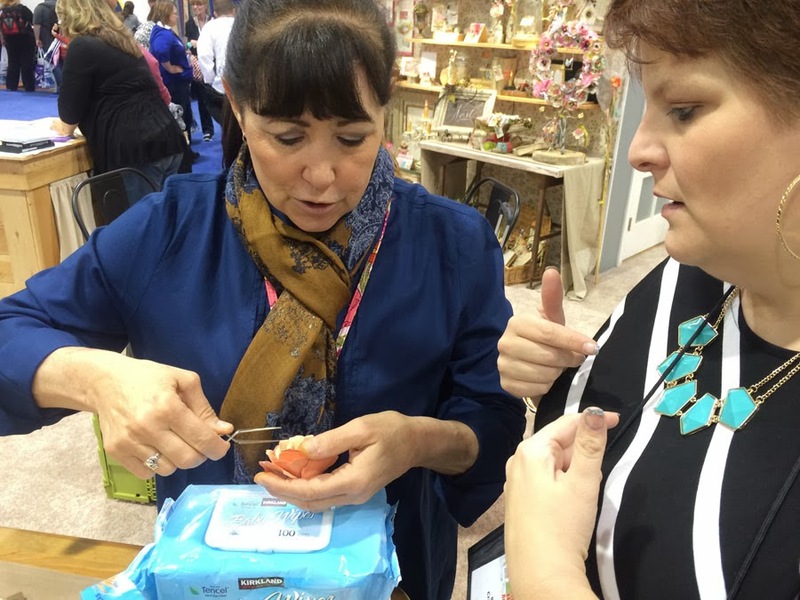 They seem so intimidating, but when I did the make-n-take at Susan's booth and saw her gorgeous samples, I was shocked how simple they actually were. So beautiful and so much fun to make. And she has a YouTube video for each flower die she carries. How awesome is that? I've just finished watching this one on how to make a Dahlia. Susan was very kind and friendly to talk with. I can't wait to make more of her gorgeous flowers. The tool kit is not brand new, so you can get it now in your local craft store. I ran right out and got one after using them in her booth. 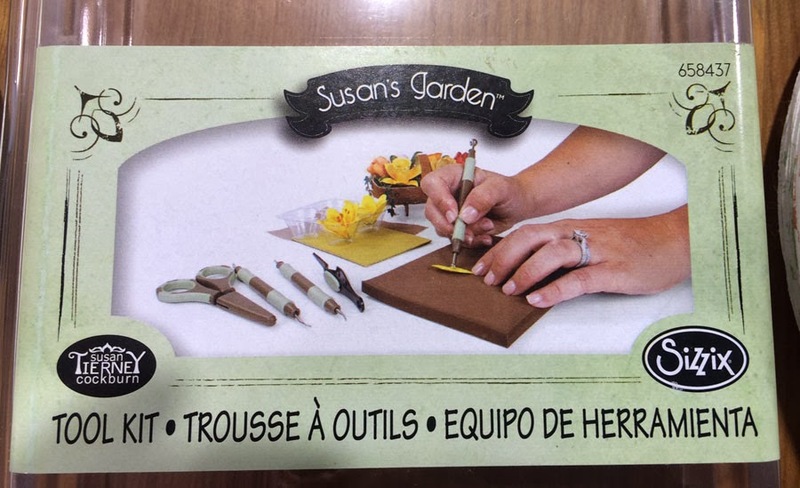 You will become a master at these flowers with Susan's tools. If you watched the video link above, you'll see that you just can't achieve the realistic effects without them. 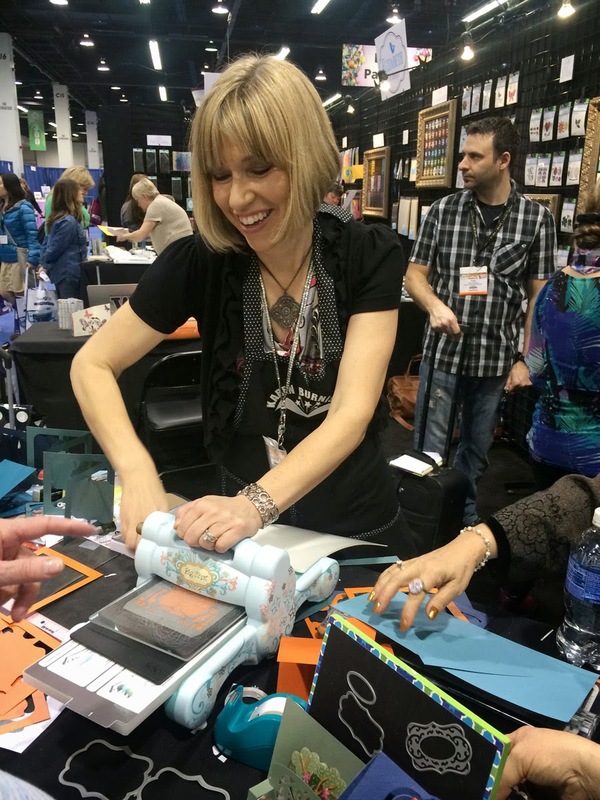 I snapped a quick photo of Karen Burniston who was surrounded by a crowd as she demoed some of her new dies. That's it for today. Hope you've been inspired. Watch your local craft stores and online to get your new Sizzix products. Thanks for stopping in. I'll wrap up my CHA recap tomorrow with a mix of everything else I saw while there. Have a great day! 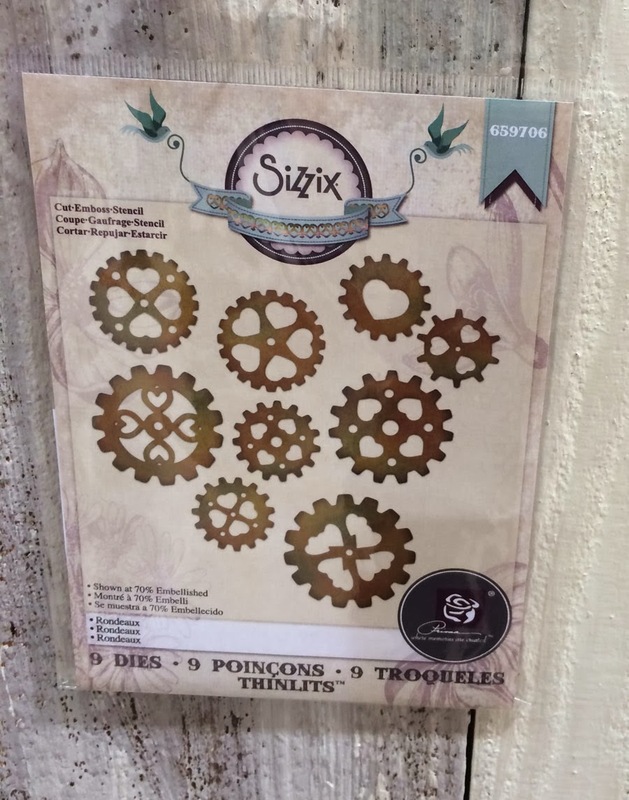 Ok- the top of my Sizzix wish list are those fantastic gear dies!! Oh my word...they are so cool! Looking forward to tomorrow's photos! Thanks for sharing! I love those gear dies with the hearts! Gotta get that one for sure. Oh my goodness! I'm in love with the bug dies. Looking forward to making my own version of that frame. So inspired - and yup, it's the bee, the butterfly and the dragonfly that I'm after - but those gears look amazing too... Oh dear!